Oracle database of 10g/11g/12c categories is more prone to corruptions. Manual retrieval of those is a hectic task and often demands a robust algorithm. Also, there is a mere chance of your necessary files of being deleted while trying to modify original data. In this regard, Stellar Phoenix Database Repair for Oracle provides a complete solution to above-discussed issues. It not only recovers the damaged objects but also saves them in a secured location for easy retrieval. Now repair Oracle Database like never before. The Oracle Database Repair tool comes with an easy to navigate Graphical UI screen integrated with Menu as well as Buttons for quick access. The presence of Opening, Repairing and Stopping the process buttons under the ‘File’ tab facilitates immediate actions. One can also choose to view the ongoing process progress through the ‘Status Bar’ and ‘Message Bar’. In case, you want to see the list of all ‘till-now’ activities, click on ‘Save Log’ and can also clear them out through ‘Clear Log’. 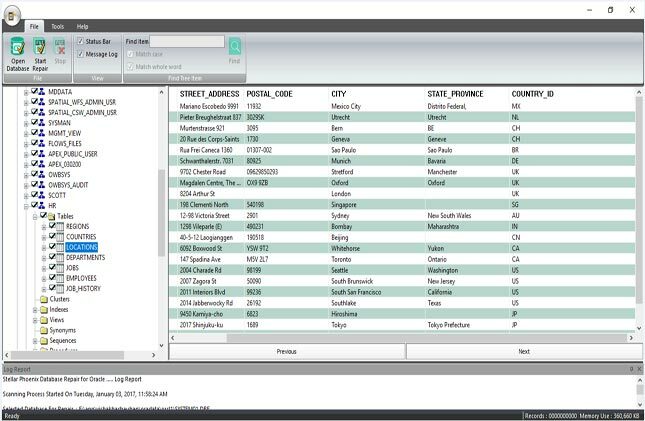 This software, unlike other available, has the option of transferring the license of purchase from one system to another with a single click button. A global world like icon denotes Update through which your software can get revamped with latest bug-fixes quite quickly. The process of installing this Oracle repairing module is a cakewalk and takes few minutes from its point of installation to get into the action. Go through below to confirm the ease of installing it. As soon as you open the software, a screen will appear where one needs to select the particular directory to save the repaired files. By default, the data will go into an Oracle database or else can be saved into any desired location set by the user. The process has to be initiated by entering the username and password. Select the corrupt file database and go for a full scan by clicking on the “Scan File” option. All the objects against your selected database will now show up on the left-hand side in a tree structure. Their preview will appear on the right-hand side. Select those objects that you want to get revamped from being corrupted. Next step is to repair them by clicking on the ‘Start Repair’ option. The process will demand to choose one of the two options for saving fixed files; either in a new Oracle database or inside any preferred location set by you. In case, you are facing more questions on how to repair Oracle Database using visit their official helpline to get a quick and easy help. 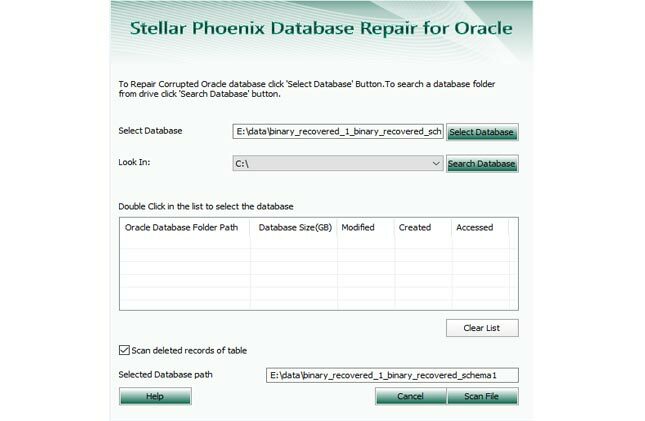 Stellar Phoenix Database Repair for Oracle provides 24/7 support system to guide you for a hassle free use of the software. You can call their Hot-Line numbers or else can initiate a chat on their website. The query handling division in this database repair tool for Oracle can accept your technical queries against the software use and will be addressed quickly by the professional team. Additionally, one can get to know more cutting-edge use to repair Oracle Database using the same technology by visiting the ‘Knowledgebase’-A place to find more articles on Oracle database repairing through Stellar software. The same Database Repair tool for Oracle can be availed in Demo version also before full purchase. Through a demo version, you can get a glimpse of all the recoverable corrupt objects in a tree structure and shows a demo on how to repair Oracle Database. After that, you can choose any object to view its preview in the main interface. The full version additionally paves away the solution of retrieving the tables, views, indexes and stored procedures into a secured vault post repairing your malfunctioned Oracle database. With these many features plus an easy interface, you may not feel struggling through a giant Oracle database repair tool. You can operate this tool just like you are playing with a kid, and by the time you are enjoying your tea or coffee, your corrupt Oracle database tool may have been repaired. While the software is known to deliver good results, we suggest you to always take a backup of the corrupt Oracle database before using any tool to repair the database. It will help you in the case the tool has malfunctioned due to any reason. In such a case, you will have a copy of the corrupt Oracle database on which you can anytime use any other software. 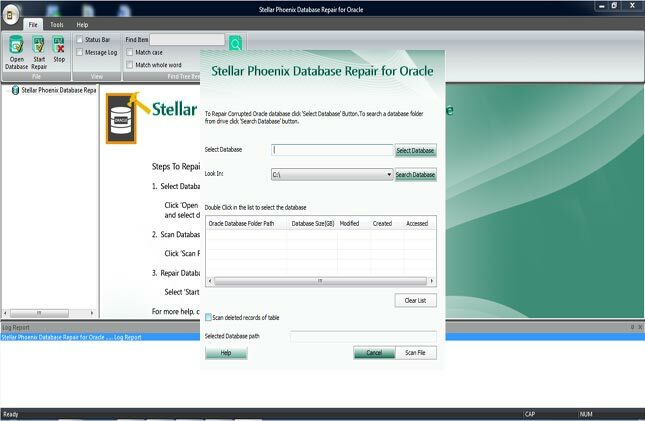 You can download a free trial version of Stellar Phoenix Database Repair for Oracle or Click the Image below. Click here to get Stellar Coupons to Save more money. Are Things Erased From the Recycle Bin Gone For Good? Next: How to Convert GroupWise to PST in Some Easy Steps?